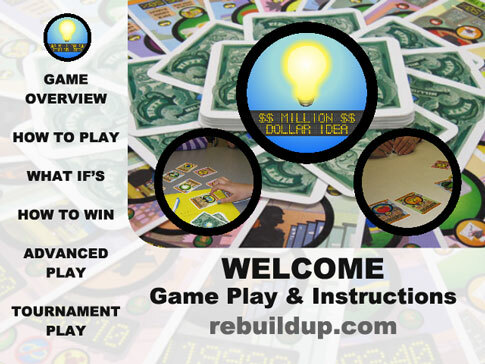 We’re putting together our new game play demo and instruction video for Million Dollar Idea. Once complete, we’ll be shipping out donated decks of MDI to business and entrepreneurship classes of selected schools throughout Guilford County. Previous Post5/16: ReBuildUp Course (for Adults) @ Central Library sponsored by Michael Robinson AccountingNext PostMDI Game Play Instruction Video Completed!